In this video interview, Dr. Sanjiv Narayan talked about the PRECISE trial, the late breaking clinical trial that he presented at Heart Rhythm 2013. This multicenter trial looked at whether FIRM ablation alone would work. Total ablation time in the trial averaged about 20 minutes. While they are still early in follow up, the data he presented showed a success rate of just over 80% at about nine months. He also shared FIRM data that was presented at HRS by other investigators. Dr. Narayan: It’s been a very exciting meeting for us, and it’s been a busy year. Essentially, there are a couple of aspects. 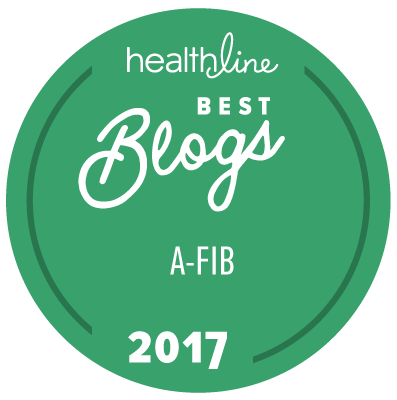 As you may recall, FIRM ablation is identifying rotors and focal sources that drive atrial fibrillation using a newer mapping system. This we first showed a couple of years ago, and we combined that with PVI and showed that when you did that, you did better than just PVI. That was the CONFIRM trial. After that, we worked hard to work with collaborators, and now actually we have a large number of cases at many centers across the United States. I think it’s 11 centers in total. We have about 200 patients, I think maybe slightly more. A lot of that data is coming out. In fact, those investigators, those independent labs, are also showing their data from their labs [here]. Dr. Kowal is showing some data where the results from outside labs are essentially equivalent to the labs in San Diego, and so he showed that. Dr. Swarup, from Arizona, has shown some lovely data, that the rotors that we find are actually very stable. In other words, there was a little bit of controversy that while increasing numbers of groups are seeing rotors, some groups are seeing these rotors wander a lot, which would be a slight problem because it will mean you have to chase it with your catheter, and burn more. So we’ve always found that the way we do it, we see them stable. He actually showed a presentation yesterday where he showed a bunch of them, and in the end it was quite amusing. He finished off with a slide where he said this rotor was present at this point of time, in an EP study, and then again nine months later, and it was still there, and it was then terminated by FIRM ablation. So then there have also been additional talks on how FIRM may work and a variety of other things. For me, one of the most exciting aspects was the ability to present our newest trial as a late breaking trial today at Heart Rhythm, called the PRECISE trial. It’s got a bit of a mouthful name, but that stands for Precise Rotor Elimination without Concomitant Pulmonary Vein Isolation for the Successful Elimination of Paroxysmal Atrial Fibrillation, PRECISE PAF. Basically, the idea was that CONFIRM was very exciting, but it didn’t answer two questions. Firstly, it looked at people with more advanced disease, persistent, two thirds of them, and so it didn’t speak a lot to paroxysmal afib. The second question was, it didn’t address whether FIRM would work alone. I’ve never had any problem doing both and sometimes still do, but the question remains of would it work alone? Because if it did, it would really prove that rotors drive atrial fibrillation. So, in a multicenter study of five centers, we put together PRECISE to answer whether FIRM alone would eliminate afib without pulmonary vein isolation. We did the study, and we were able to find about two and a half sources per patient, very much like in CONFIRM. We shut them down with a total of about five minutes or six minutes per rotor; so it took about 15 minutes total, 17 minutes actually, rather similar to the previous trial. We did some additional flutter lines sometimes. The total ablation time in all cases averaged about 20 minutes, which is great because it’s quite a lot less than PVI, for instance. And so it’s one approach that could be useful, and we followed these patients. We’re still early in follow up, we have more patients and more follow up pending, but in the data I presented the success was just over 80% at about nine months of follow up, so very exciting. In terms of the way we think of afib, I think it makes us question, not whether PVI works, because clearly in some patients it does; but the question is, why? Maybe the PVI lines are going through a rotor. In patients in whom PVI doesn’t work, which obviously also happens, maybe by doing this you’d identify those sites, and therefore by doing this in all patients you could more consistently get higher success rates. So we’re very excited overall. There are five centers doing FIRM only, and of those, they’re all doing FIRM plus PVI as well; and an additional five to six centers are also doing FIRM plus PVI. And they’re scattered all over the country—the investigators I mentioned to you, Dr. Kowal, Dr. Swarup, also Dr. Miller, a series of investigators. New ongoing trials are being planned and hopefully it’ll be easier and easier for patients to be seen and evaluated for this, if they would like, as an adjunct or as an alternative to PV isolation in some cases. It obviously depends on each patient.